GMB is taking legal action against three Amazon delivery firms as it contends that delivery drivers were made to work excessive hours and even drive unsafely due to workloads. The legal action is being taken on behalf of GMB members working for Prospect Commercials Limited, Box Group Limited and Lloyd Link Logistics Limited. The claimants all worked for the companies as couriers, delivering parcels for Amazon. GMB says the drivers were employees, and alleges that the workers were classed as self-employed but were required to attend scheduled shifts that were controlled by Amazon, meaning they did not have typical self-employed flexibility. The union contends that as the couriers were treated like employees in terms of their working hours, they should be treated as employees in terms of their rights too. The action also applies to claims from two of the members are that they were dismissed because of whistleblowing over concerns including the need to work excessive hours and/or drive unsafely to meet targets due to the number of parcels allocated to drivers. GMB also claims that drivers were expected to wait a significant time to load their vans, extending their working hours, and that drivers were driving whilst tired, which posed a threat to their safety and other road users. 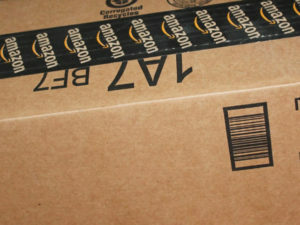 Tim Roache, GMB General Secretary, said: “The day-to-day reality for many of our members who deliver packages for Amazon, is unrealistic targets, slogging their guts out only to have deductions made from their pay when those targets aren’t met and being told they’re self-employed without the freedom that affords. Responding to the allegations, an Amazon spokesperson commented: “Our delivery providers are contractually obligated to ensure drivers they engage receive the National Living Wage and are expected to pay a minimum of £12 per hour, follow all applicable laws and driving regulations and drive safely. Allegations to the contrary do not represent the great work done by around 100 small businesses generating thousands of work opportunities for delivery drivers across the UK.